In view of his continued indiscipline, anti-party and anti-Jammu activities, J&K BJP president Ravindra Raina has expelled Gagan Bhagat from the party, BJP chief spokesperson Sunil Sethi said. The Jammu and Kashmir unit of the Bharatiya Janata Party (BJP) today expelled its former MLA and senior leader Gagan Bhagat for indiscipline and anti-party activities. 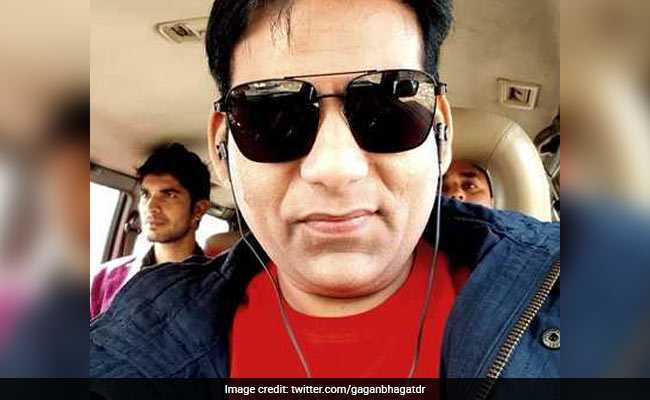 In August, Mr Bhagat was suspended for three months on the recommendation of the disciplinary committee of the Jammu and Kashmir BJP for his role in the alleged abduction of an ex-serviceman's daughter. Going against the party line, the MLA on December 3 moved the Supreme Court challenging the dissolution of state Assembly by Governor Satya Pal Malik calling it "unconstitutional and undemocratic". "In view of his continued indiscipline, anti-party and anti-Jammu activities, J&K BJP president Ravindra Raina has expelled Gagan Bhagat from the party with immediate effect," party chief spokesperson Sunil Sethi said. "Bhagat has neither followed the instructions of the discipline committee nor showed the discipline expected of a member of the BJP," Mr Sethi added. He urged the party cadre and the people of RS Pura constituency-- represented by Mr Bhagat-- not to entertain the expelled leader. According to the Jammu and Kashmir BJP spokesperson, the report of the disciplinary committee was submitted to Jammu and Kashmir BJP chief Raina in July following the ex-serviceman accusing Mr Bhagat of abducting his daughter from her college in Punjab. The committee also said that within the suspension period, Mr Bhagat should settle all dispute to the satisfaction of the complainant parties, he added. The charge was denied by the woman as well as Mr Bhagat, who termed the allegation as an attempt to defame him. The lawmaker's wife, however, accused him of having an extra-marital affair with the woman.